Last Sunday night my children and I were outside watching the eclipse of the moon. It was a super moon, and the last one occurred 33 years ago. The social media was bombarded with many end time prophecies and doomsday theories. Many people enjoyed sharing those frightening predictions that tend to bring fear in your mind. I once saw someone shared a repulsive looking old man with two oversize turkey wings on his back with the caption stating that he was a fallen angel and a sign of the end of the world. I cringed when I saw the ugly looking creature and wonder if anyone believe the ridiculous picture. I also wonder why people share those horrible images. Many people tend to share the bad, ugly, revolting and the frightening on the social media. Very few people shared the good, beautiful and encouraging. This attitude reminds me of the scripture that said, broad is the way that lead to destruction and narrow is the path to life. If you read a prophecy about the end of the world that causes you to be fearful, ask yourself if it is really from God? 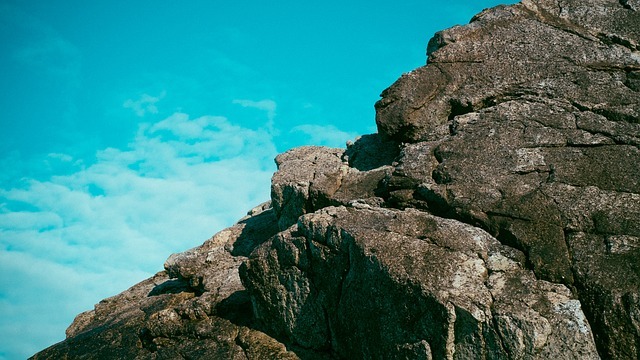 What does God say about fear? 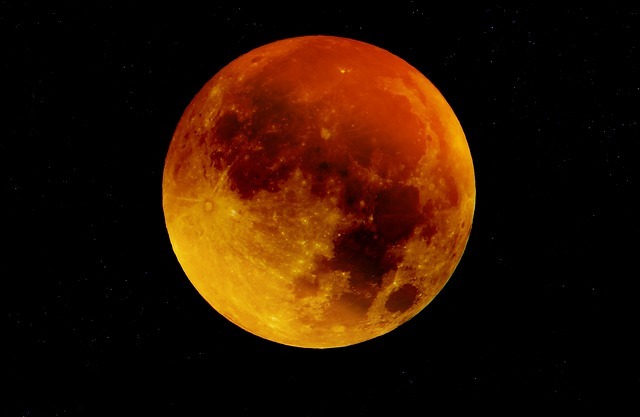 One of the theories of the blood moon stated that it marked the beginning of the year of jubilee on the Jewish calendar. This belief is probably true because Jubilee signifies freedom, prosperity, and fulfillment. About three years ago the Lord promised me that when I reached my fiftieth birthday, I will receive my year of Jubilee. I interpreted His words to mean that I was going to have a big ‘bashment’ party when I was fifty. However, this was not the case, and you can read more about it here. I was looking forward to the fulfillment of all of God’s promises in my life before my next birthday, September 8th, 2015. Many of God’s promises came through, but the major ones did not, and I became despondent because I thought that my jubilee year has ended. However, when I heard that the Jewish year of Jubilee began on the day of this blood moon, I realized that I had missed something crucial. The Jewish year of Jubilee lasted only one year every fiftieth year. My year of jubilee is spiritual, not physical. Therefore, it does not last for only one year. It began on my fiftieth birthday and will continue for the rest of my life on earth. Consequently, last year when I made fifty, I matured in the Lord both physically and spiritually. I am not looking back neither will I return to the past failures and troubles. My life from henceforth will shine with the glory of God. However, as soon as I received the blessings from the Lord, I began to doubt them. I told myself that anything that sounds too good was usually too good to be true. I had picked up this phrase from the enemy who had robbed many people of their retirement and savings through fraudulent ‘get rich quick’ schemes. So now that I am receiving my blessings from the Lord the enemy is telling me that it is too good for me so do not accept them because they are not real. 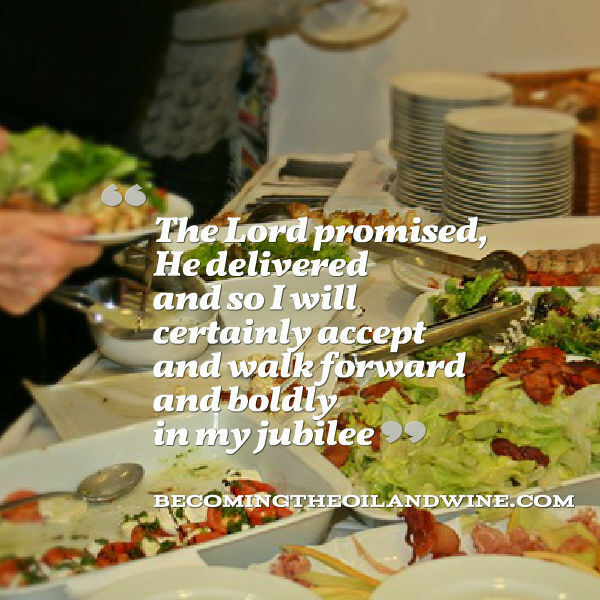 The Lord promised, He delivered and so I will certainly accept and walk forward and boldly in my jubilee. Thank you, Lord!